Crafted & Brewed in Humboldt County, California, surrounded by the beauty and nature of the Sea and Redwoods. 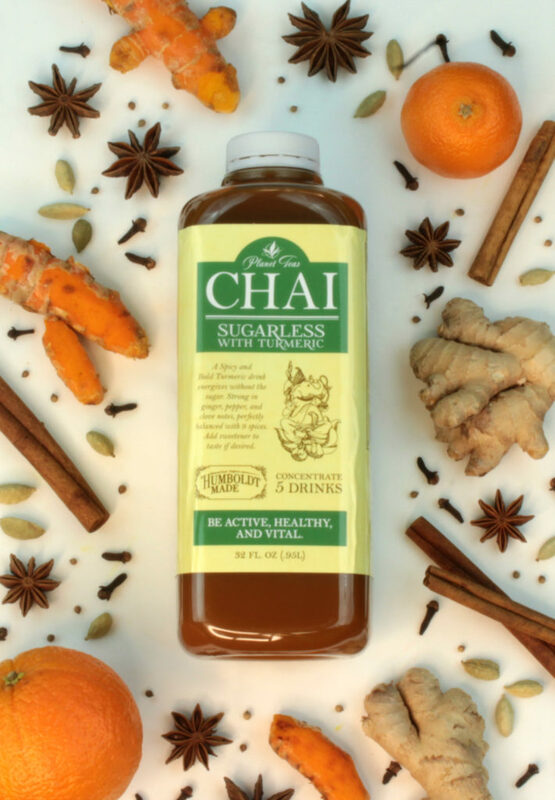 Our Sugarless Turmeric Chai is a spicy and bold Turmeric drink that energizes without the sugar. Strong in ginger, pepper, and clove notes, perfectly balanced with 9 spices. Add sweetener to taste if desired. Currently only available at select grocers.